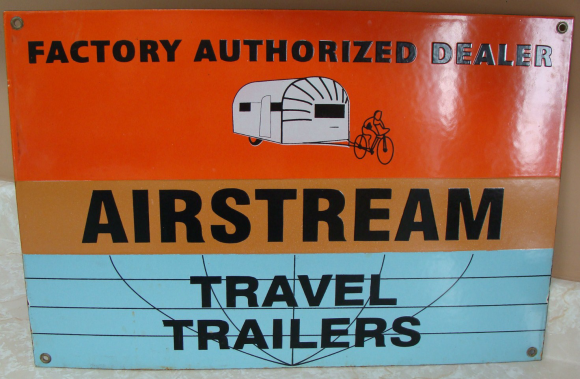 This is a rectangle Airstream Travel Trailers porcelain sign. This particular Airstream Travel Trailers sign features a white travel trailer at the top against an orange and light blue background with black text. It reads, “Factory Authorized Dealer, Airstream Travel Trailers”.